Abel Sanchez, trainer for IBO, WBA, WBC middleweight champion Gennady Golovkin (38-01, 34 KOs), has fired back at the trainers of Mexican superstar Canelo Alvarez (49-1-2, 34 KOs). Golovkin and Canelo will collide for a second time on September 15th, at the T-Mobile Arena in Las Vegas. The first bout, which took place in September 2017, ended in a controversial twelve round split draw. For the last few months, Sanchez has been highly critical of Canelo and his trainers – the father/son team of Chepo and Eddy Reynoso. In recent interviews, both Chepo and Eddy shot down Sanchez’s comments and said the veteran trainer was simply looking for attention. “That man talks, talks and talks but that’s what he likes to do and we have to let him talk. In my town, they say that donkeys speak so that everyone knows they exist, because if they didn’t speak then nobody would know, so here we are. Abel talks so everyone knows he’s there,” Chepo told ESPN Deportes. He blames Canelo’s handlers for the boxer’s drug testing controversy. Back in February, Canelo tested positive for the banned substance clenbuterol. Canelo claims the positive tests were directly connected to his consumption of contaminated meat. Meat contamination has been a longstanding problem in Mexico – with numerous athletes testing positive for clenbuterol over the years. Because of his positive tests, Canelo was suspended for a period of six months by the Nevada State Athletic Commission – and he was forced to withdraw from the initial May 5th rematch date with Golovkin. 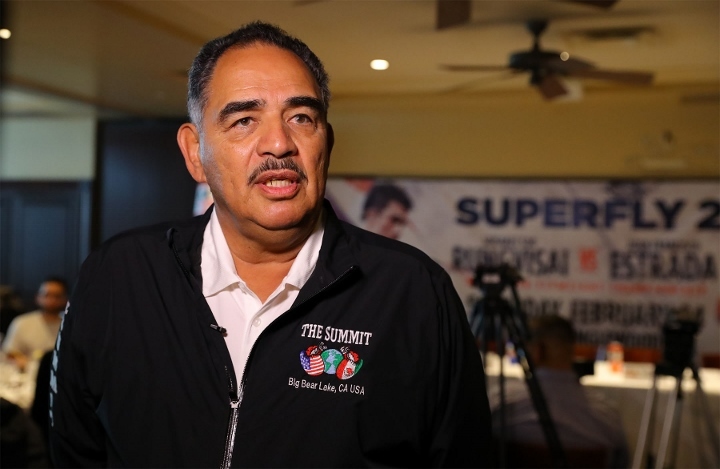 Sanchez indicates that Canelo’s handlers should have taken the proper precautions – based on their knowledge of the meat industry in Mexico. “Let me tell you this, for the last 15 to 20 years, people in Mexico know about the chemical that they put in the beef that causes the positive tests. For the last 20 years this has been happening in Mexico. The Mexico soccer team tested positive, a few fighters got caught,” Sanchez told BoxingScene.com.